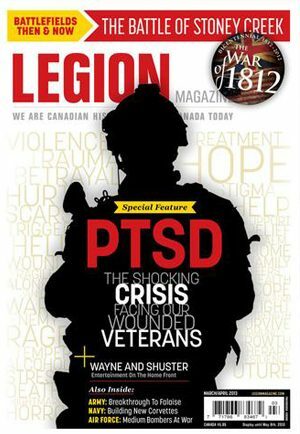 Legion Magazine Staff Writer Sharon Adams takes us from a room “hot with anger” in Halifax to Victoria where one veteran—diagnosed with and treated for post-traumatic stress disorder—has reclaimed peace of mind. 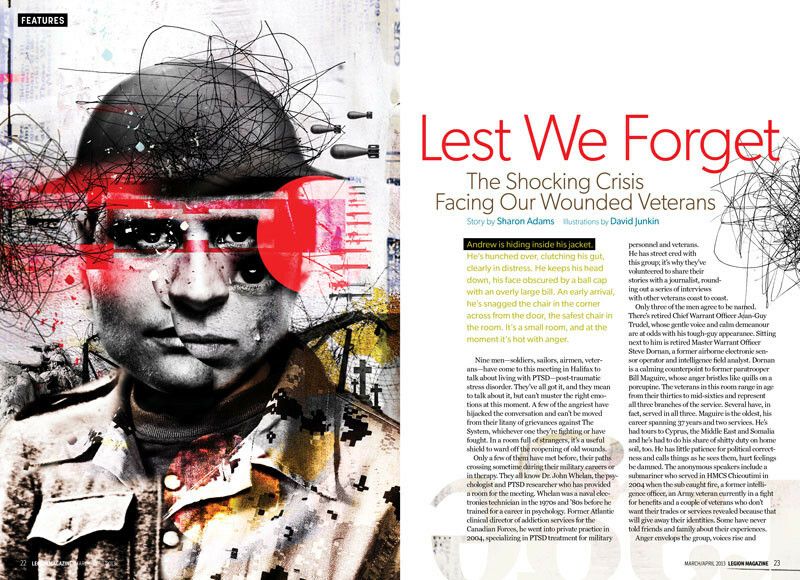 This special feature examines PTSD up close and reveals that a lot more must be done to help veterans suffering from it. 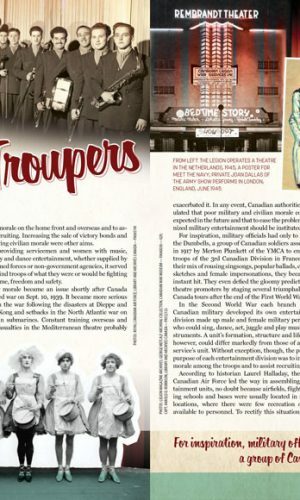 From comedians Johnny Wayne and Frank Shuster to the skits and dance routines of The Navy Show, Canadian service personnel were well entertained during the Second World War. 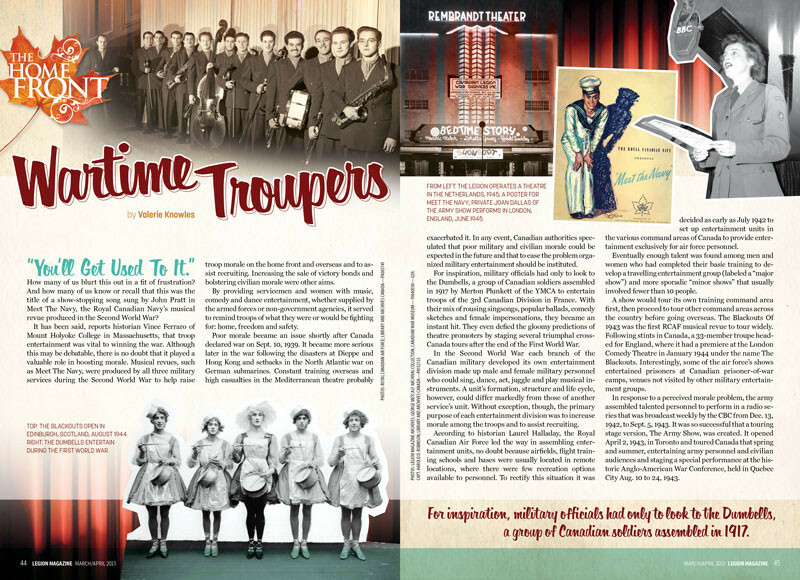 Contributor Valerie Knowles presents a retrospective on how these lighter moments boosted morale across the country. 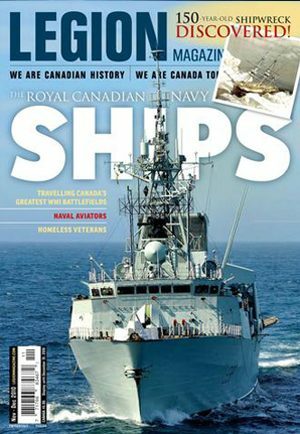 Robert Morrison was just 17 when he joined the Signals Corps in Ottawa in 1917. 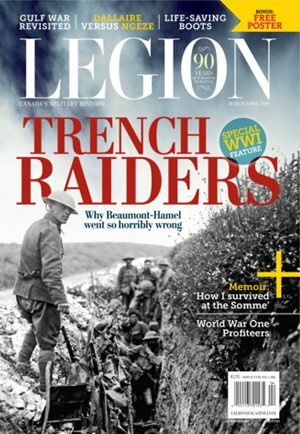 By 1918 he was in France learning to fly biplanes for the Royal Air force. Soon he found adventure and danger fighting the Bolsheviks over the Caspian Sea. 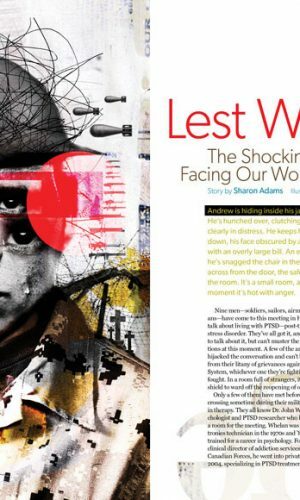 A section of his diary, accompanied by a narrative written by his son, provides a rare glimpse into some long-forgotten history. 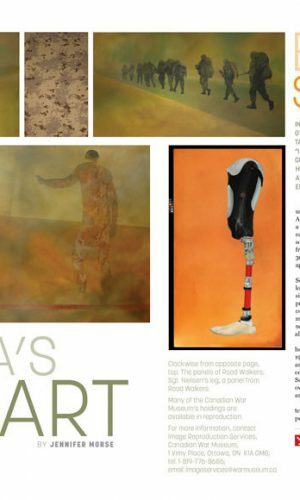 Legion Magazine General Manager Jennifer Morse tells us about an Ottawa artist who suddenly found inspiration while watching a Canadian Forces veteran jog past his house on artificial legs. 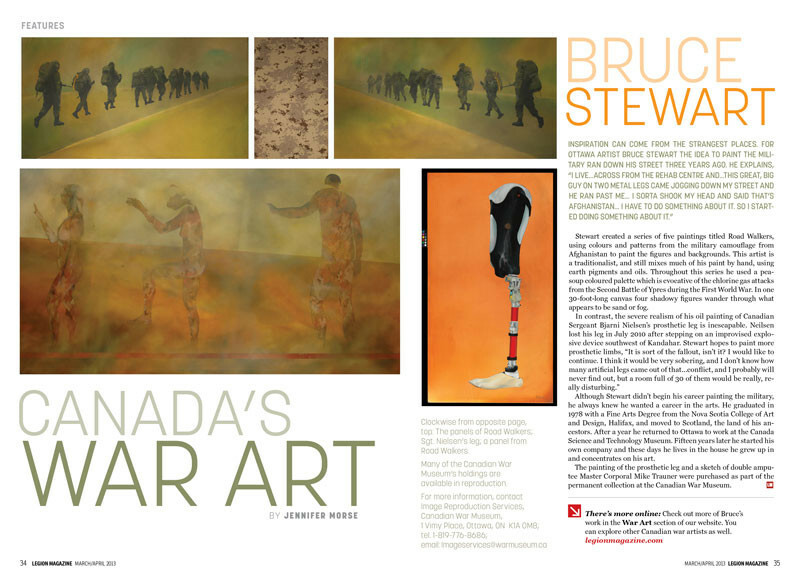 Her story is part of our ongoing series on Canadian war artists.